Join in the 2012 One Run at Reverchon Park October 6th and help support those affected by ALL cancers. You can run, you can walk, you can stroll or skip, but whatever you do, cross the finish line! 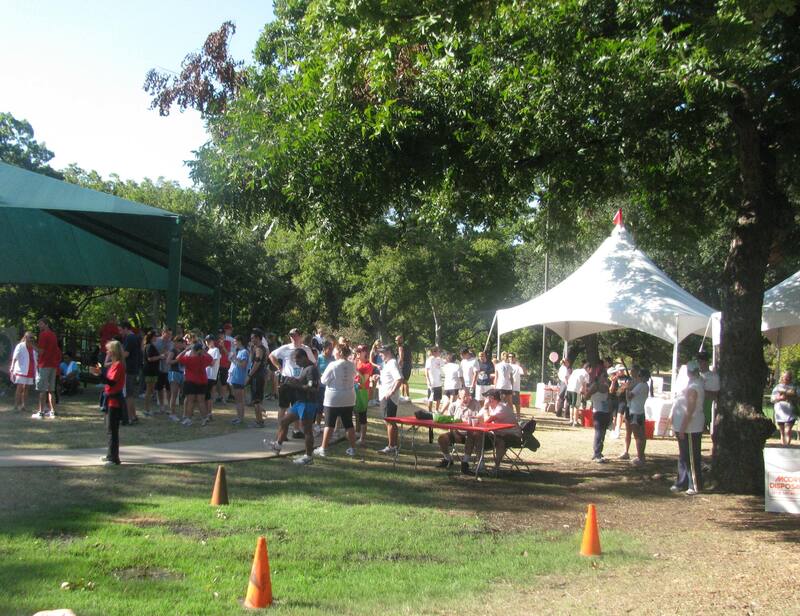 The Cancer Support Community of North Texas is having their 2nd Annual One Run about a month later than last year’s. Even at the Inaugural One Run there was an awesome turnout with live music, vendors, cancer survivors as well as supporters, so this year will be even greater! Interested participants can join a team, start their own or run solo! Register online at oneruntx.org or click here. Runners can also register at Luke’s Locker on Mockingbird Lane or show up at the park the morning of the race at 7am to sign up. Click here for more information on registration and packet pickup. The 2nd Annual One Run includes a 1K walk, a 5K run along Katy Trail, a post-run party, family activities and Vocal Trash! Don’t let the name fool you though! The musical group is far from garbage! 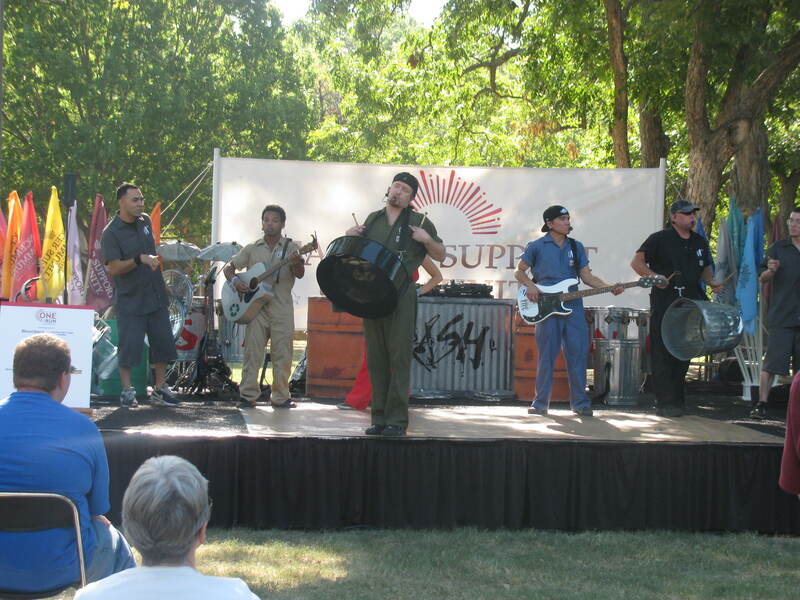 Banging on recycled metal items and unique pieces of equipment they come up with high energy music and sounds that will lift almost anyone’s spirits. Cancer Support Community North Texas is the only affiliate of CSC (formerly known as Gilda’s Club) in the state of Texas, and offers support groups, educational seminars, workshops and social events to all those touched in some way by cancer. Stop by the club house one day in Oak Lawn area to see what’s going on or how you might volunteer! As the One Run grows bigger and bigger gaining publicity and support, their main sponsor this year is Cancer Treatment Centers of America. You don’t have to be a cancer caregiver, survivor or even an expert runner, just support the fight against this highly despised disease. All cancer categories will be recognized so you can rock your colors also! Lace up those sneakers Saturday morning and we’ll see you at Reverchon Park bright and early!